This is actually a simple, short post, but writing helps me remember things, and since I had to learn this, I decided to write something short. I have a number of Windows Server 2012 R2 VMs. I need to get rid of these and upgrade to WS2016, since installing SQL 2016 is a pain on these VMs. However, for the time being, I’m stuck with them. This is because that module isn’t in this version of PoSh. I checked, and I could see this is v4, and Install-Module was added in v5. That worked great, and I had the modules installed. Nothing much new in this post that isn’t in the dbatools download page, but I did learn a bit more about PoSh and its versions. Since I’ve gotten used to working on Windows 10, it’s good to remember that previous versions of the OS will have different capabilities. In this case, the pain of using WS2012R2 means I’ll try to find time and upgrade to WS2016 as soon as I can. 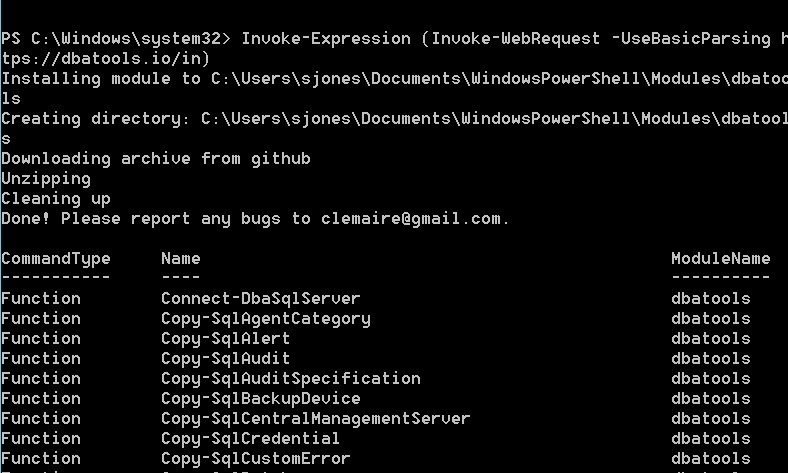 This entry was posted in Blog and tagged dbatools, powershell, syndicated. Bookmark the permalink.